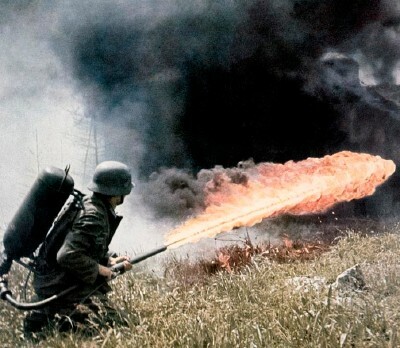 The Flammenwerfer 35, or FmW 35 was the one-man flamethrower used during World War II to clear trenches and buildings. It could project fuel up to 25m. It had a weight of 35.8 kilograms (79 lb), and held 11.8 litres (2.6 imp gal; 3.1 US gal) of flaming oil, (Flammöl 19), petrol mixed with tar to make it heavier and to give it better range. The oil was ignited by a hydrogen torch providing about 10 seconds of continuous use. The firing device is activated at the same time with the Selbstschlussventil. 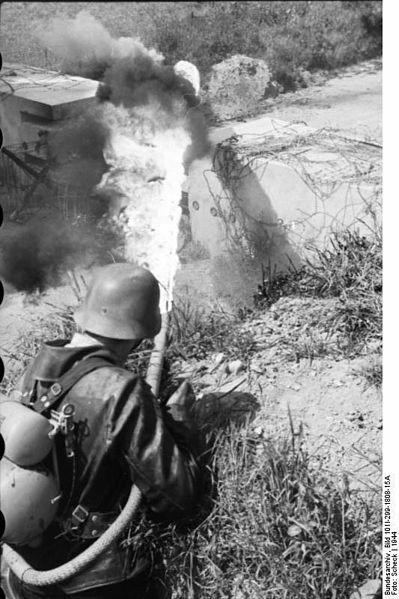 The Flammenwerfer 35 was produced until 1941, when the lighter, slightly redesigned Flammenwerfer 41 was introduced. 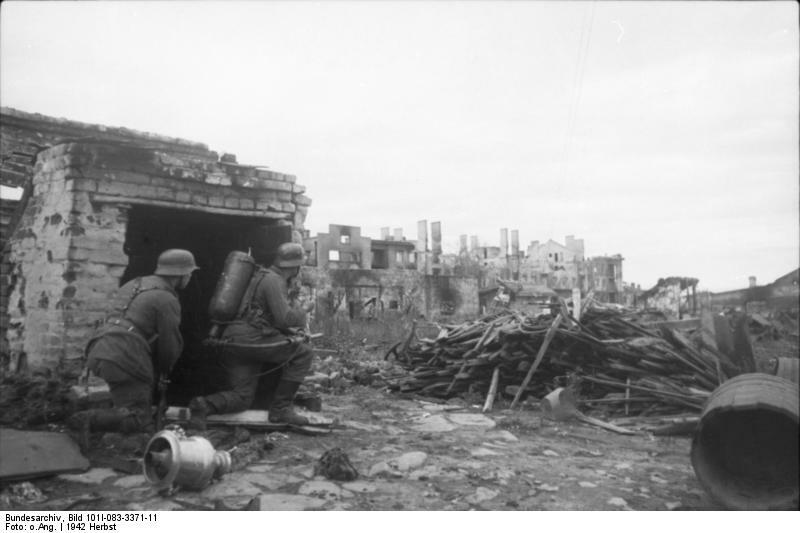 During the later stages of its service life, the trigger and muzzle section of the Flammenwerfer were dressed up to look like a standard infantry rifle in an attempt to disguise operators and keep them from being singled out by enemy snipers.